← METALLICA GOING INDIE: A SEA CHANGE IN MUSIC? Healthcare in the United States has become a political issue of the greatest importance, but also a source of great uncertainty for many working Americans. The debate of a system of healthcare in the U.S. has always been a hot one, and with 2012 being an election year, it’s become even more so. But as the candidates go back and forth over who has the best plan for healthcare in our country, the entrepreneurial music and arts community seems to many times be a forgotten one when it comes to this issue. Entrepreneurs of all kinds are struggling with the issues of being able to provide affordable healthcare to their employees and themselves. But it seems that indie music artists, many times acting as their own boss and their own music business entity, do not have access to a strong, fundamental infrastructure in terms of health insurance or basic health care. A recent story on Hypebot.com took a closer look into the trials and plight that many independent musicians are facing in terms of securing good and much needed health care. 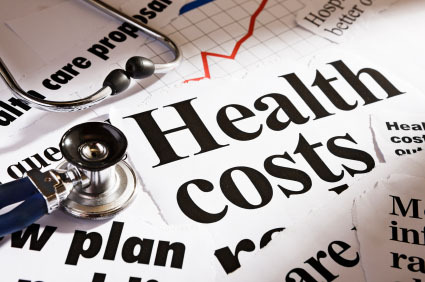 In the story by Senior Hypebot Analyst Hisham Dahud, topics such as overall healthcare reform, affordable healthcare insurance and the Affordable Care Act, or “Obamacare” as it is now known, were touched on. Successful independent music artists including Amanda Palmer and Brooklyn, NY-based rock group Grizzly Bear were cited as having talked about their numerous struggles with health care costs and being able to have healthcare for themselves as artists. In the same story, leading healthcare reform advocate Adam Huttler, head of the organization Fractured Atlas, a national organization that has been helping to provide independent musicians and artists of all kinds with affordable healthcare for over 10 years, cited several studies by his own organization, as well as some by organizations such as The Future of Music Coalition and Leveraging Investments in creativity that estimate between 30-35% of American artists as not having adequate health insurance. Even very successful independent artists, such as Amanda Palmer or the members of Grizzly Bear, may not have the insurance they need to take care of themselves and their business interests. Ultimately, healthcare will continue to be a sensitive topic that is unavoidable, especially if you are an entrepreneur in the arts. As there is already so much that independent music artists have to make sure is taken care of and in line with their success, from financial and tax concerns to securing gigs and getting paid on time and in the right way, access to good, affordable healthcare is now another course that artistic entrepreneurs can add to a full plate. This entry was posted in California Music Industry Summit. Bookmark the permalink.